Since “membership engagement and communications” was listed as the number one issue facing membership and non-profit organizations for 2011 in our blog reader survey, I’ve been keeping a watchful eye on the blogosphere for insightful information to pass along. In my search I found a great post by Jeff Brooks on the Future Fundraising Now blog: You’re not sending Spam but are you emailing bacon? Bacn differs from spam in that the recipient has signed up to receive it. Bacn is also not necessarily sent in bulk. Why should non-profits and membership organizations care about bacon? These days, we are all "in-box challenged" - being inundated by a high volume of emails. As marketers, consultants, non-profits, associations and clubs try to keep their clients, supporters and members engaged and informed through regular emails - the result is pounds of bacon in the inbox. 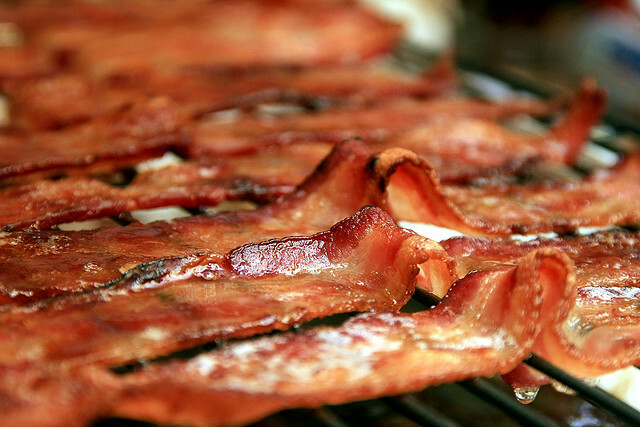 According to Dave Larson (Tweetsmarter), “Spam filters are now blocking 99% of spam email while bacon is surpassing wanted mail in the inbox.” He also advises that “some bacon is good, but too much of it clogs your arteries” or in this case, your inbox. As a blogger who subscribes to numerous alerts, feeds and newsletters, I am inundated by bacon. Now I realize why my email and brain feel clogged sometimes! I am among the 18% who do scan emails before I delete them. If your members, supporters or followers are like me, they might like a little taste – so you’ve got to make that first small morsel count! In other words, you have a small window of opportunity to get your email recipient interested before they hit the delete button. When your constituents sign up to receive emails, they are giving you an invitation to come to their inbox once, maybe twice. Whether you are invited back depends on whether you're a good guest. No one likes the guy at the party always bragging about what he's done, and everyone hates the mooch always asking for handouts. A good guest is respectful, informative, and hopefully even a little fun. Email recipients are no different. If your communications are always focused on what you want and not what the host wants, they'll revoke your invitation, and fast. Burghdoff offers some advice on ways of analyzing your audience’s behaviour by using the wealth of data you already have and then “win your invitation back with EVERY email.” He also cautions that your entire organization – top down – must understand and follow your outreach strategy to ensure that there are no well-intentioned, negative email experiences. Stay relevant – if you aren’t sure if you are relevant to your key supporters get to know them better through email analysis; online surveys, focus groups, etc. Offer value – so recipients want to read on and open your next email! Check back with the Wild Apricot blog for future posts on Membership and Non-profit communications.